There’s a lot of wisdom in astrology, which can help us make major life decisions in the fields of employment, friendship and family. 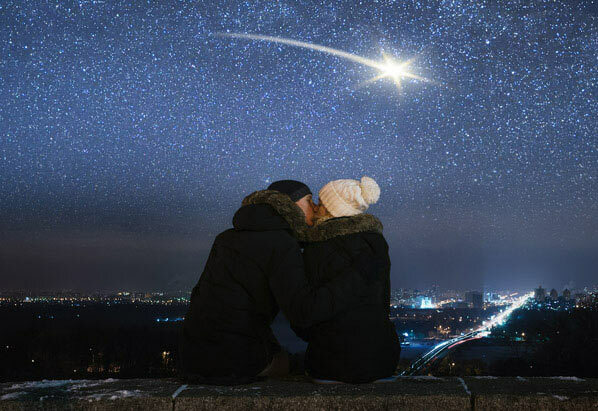 No less importantly, star signs can also help navigate a new romantic relationship. People often know everything there is to know about their own sign and how it manifests in their personality. However, they don’t necessarily understand what makes other signs tick. Here we explore what dating the different signs is like, from passionate Aries to sentimental Pisces and beyond. Aries have been called the ‘innocents of the Zodiac’, which means they are charming, and often irresistible. Those in a new relationship with an Aries may find them to be wild, impulsive, spontaneous and unplanned. Aries are usually interested in monogamy, so one shouldn’t have to worry about them being faithful. They are direct and to the point, and often straightforward to the point of being blunt. Being open and sharing everything is the route to a harmonious relationship with an Aries. The intensity of being in a relationship with a Taurus can be overwhelming for some people. It may even feel possessive at times. However, this is simply how the Taurus gets to know a new partner better and encourages them to share. Being that a Taurus expects a lot from their other half, communication is essential. The Taurus loves beautiful things, and finding the value and reward in everything they do. Persistent and loyal, they will not leave their partner easily, and as the couple learn each other’s rhythms, they are more likely to build something with true security and constancy for the future. Those dating a Gemini may find their new relationship difficult to pin down. Slow to commit and nervous to let go of freedom, it can be difficult to get a Gemini to put down roots. In fact, we’ve seen a lot of Geminis resisting commitment on popular secret dating sites like NaughtyDate. A Gemini must be shown that their partner won’t hold them back from life’s experiences, such as travel and learning new things. This, as well as not initially expecting too much in the way of emotional intimacy, can be the trick to commitment. A Gemini can also be the perfect choice for those seeking something low key and casual. Dating a Cancer sign can feel like being on a rollercoaster. They can alternate between leaning on a partner emotionally to the point of feeling co-dependent, and disappearing into themselves without expressing the issue bothering them. Those dating a Cancer would be be best served to take it slow and earn their trust. Only then will they learn to open up to their partner when they need support and communication. A Cancer sign is all about emotional intimacy, and will be expressive emotionally and show instinctive understanding of their other half once they have built a foundation. A new relationship with a Cancer requires sensitivity, respect, affection and kindness in order to fulfill its promise and grow. Leos are generous, focused on pleasure, and love showing off that they are in love. However, they might also need more attention than partners from other signs. Leos like to take centre stage, are ruled by their hearts, and are known to be proud to the point of bruised egos. Dating a Leo is bound to be full of passion, but while they might have a hot temper and take offence easily, they are also excellent at forgiveness and rarely hold grudges. There might be emotional highs and lows, but Leos bounce back quickly, unwilling to stay out of the limelight for too long. New Virgo loves cannot be wooed with spontaneity and indulgence. A Virgo mind loves order and logic, with a practical approach to life. They are critical by nature, so their partners should not be offended if they are judgmental in what may appear to be a harsh fashion. They love helping others and can become just as fussy with themselves as their love interest. The Virgo’s partner can take this as a sign of true caring. Due to their quiet and reserved nature, meeting people in bars and clubs is not a viable option for the Virgo, so it is more likely to meet one online on a popular Aussie dating site, such as RSVP. Libras are born romantics and often rush into serious relationships before they are truly sure they are compatible. In love with being in love, they may need pulling down from the clouds from time to time if a serious conversation is necessary. Romance is important to a Libra, so they should be wooed with candles, flowers and generous gestures that will show them they feel appreciated and adored. As great listeners, Libras love doing anything together with their partner. Those dating a Libra would be well served to make sure they get the ‘me time’ they crave as well. Scorpios love to uncover a mystery. The more their partners reveal about themselves, or let themselves be laid bare, the more magnetized the Scorpio will be. Cool on the outside, but covering a passionately warm interior, those dating Scorpios may want to tread carefully with their new love interest until they are sure they are in it for the long haul. Being superficial, or telling any kind of lie, is sure to push a Scorpio away, so their partners must be prepared to be truthful and open in their new relationship. Love with a Sagittarius is an adventure, with their partner just along for the ride. With the symbol of the Archer, a Sagittarius is on the hunt, both for love and romance, and for the next great excitement in their life. They might resist commitment at first, but ultimately are faithful and loving. They are usually not jealous or possessive, understanding their own need to be free and feel unrestricted. Independence is very important to the Sagittarius. If those dating them ensure that they have the freedoms they need, the relationship is bound to succeed. Being sensible at heart, Capricorn partners often get a reputation of ‘raining on a parade’. They will be cautious about making sure the relationship can manage financially before rushing into a commitment, and they might want to make clearly drawn out plans before any big changes or adventures. Capricorns are warm and dependable, so this sign works well with singles who want someone they can rely on, trust and confide in fully. Those dating an Aquarius might feel like they’ve finally found their best friend. Sociable, friendly and original, Aquarius tend to be fun and intelligent as well. In fact, intellectual stimulation is the best way to make a deep connection with this sign. Those seeking to meet an Aquarius might try for a meeting of the minds on a site such as EliteSingles.Learning about the Aquarius’ interests and embarking on an intellectual pursuit together with them is a recommended method to induce romance. Aquarius men and women are rarely petty, never jealous, and while sometimes scatter-brained, never ill intended. Those dating an Aquarius have likely found themselves an idealist and should allow themselves to dream right alongside them. Those in a new relationship with a Pisces would be well advised to tread carefully. Often known for not being able to stand up for themselves, they take on a lot of what is going on around them. It may even end up being more of a burden than they can handle. Sensitive, kind and sentimental, a Pisces has a lot of love to give, as long as their partner is not taking advantage of them. Pisces are great listeners, naturally romantic and loving. They tend to remember thoughtful gestures and kind remarks, and those who can make them laugh have won them over. Just left a relationship, and wondering why you didn’t see it coming? Try a brand new direction with one of comparing Australia’s best dating sites features, as chosen by our experts.